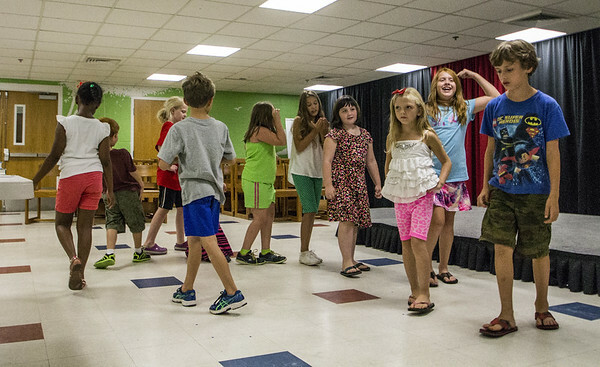 NEW BRITAIN - The New Britain Youth Theater has performances and events lined up for the summer. First up is an interactive circus-themed mystery party, Murder Under the Big Top, for ages 10 through 18 on Saturday, June 9. Participants will be given roles to improvise, and they must work together to find the killer before the grand finale. Registration must be done by May 27. Auditions for that drama, about the 1998 murder of a gay University of Wyoming student in Laramie, Wyoming, are in July for ages 16 through 20. Rehearsals are over a four-week, half-day program from July 2 through 27, except July 4, on Mondays through Fridays from 9 a.m. to 1 p.m. The full program is limited to ages 7 to 14, but a limited number of children ages 5 and 6 will join the program during the final week as part of the cast. All children who register will be cast in the show, with performances on July 27, 28 and 29. Rehearsals and performances will be held at Holmes Elementary School, 2150 Stanley St.
Later in July, scheduled are staged readings, on Thursday, July 12 and 19, of plays selected for NBYT’s first Short Play Festival. A majority of the plays are written by local children and teens, as a couple are by New Britain school graduates and former NBYT participants. For more program and performance details, registration forms and information about New Britain Youth Theater, visit the company’s website nbyt.org, email info@nbyt.org or call 860-515-8115. Posted in New Britain Herald, , New Britain on Sunday, 20 May 2018 21:11. Updated: Sunday, 20 May 2018 21:13.